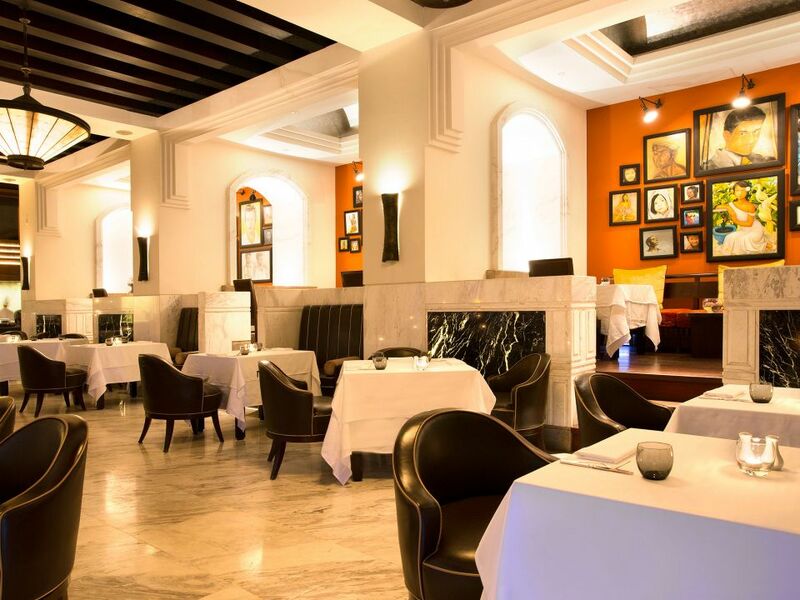 A destination for global connoisseurs, serving sustainable seafood, organic farming and ingredients from high quality local producers. 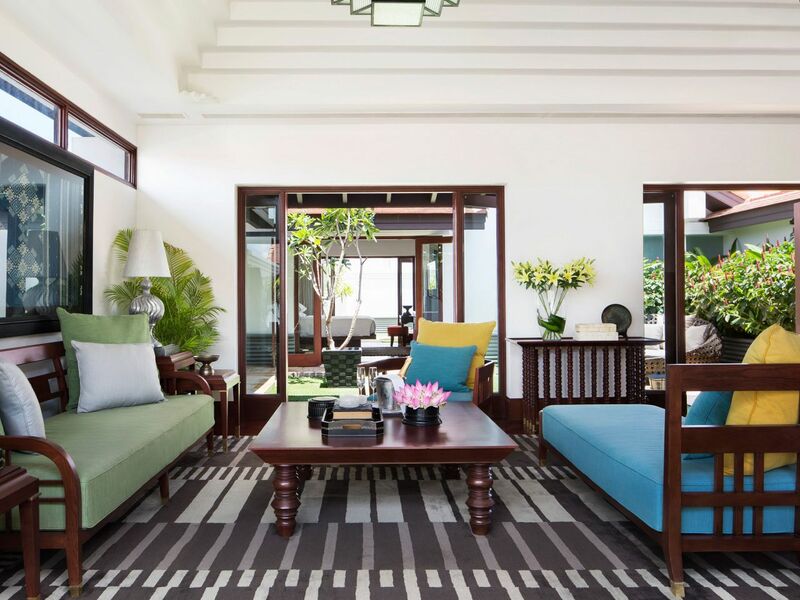 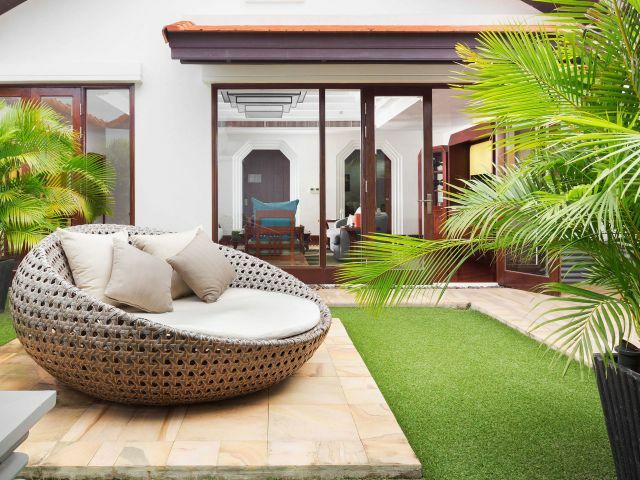 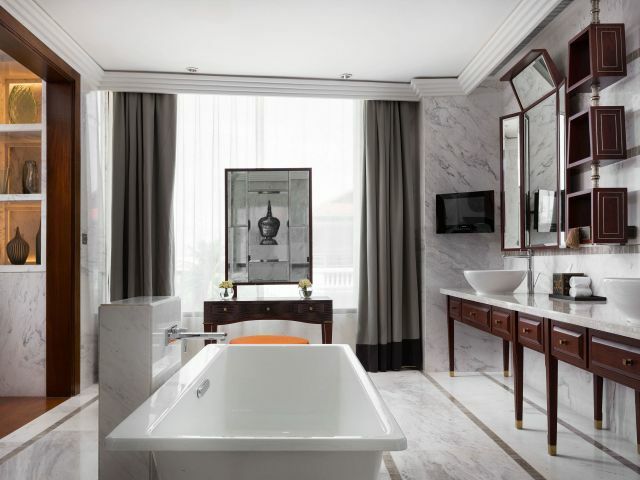 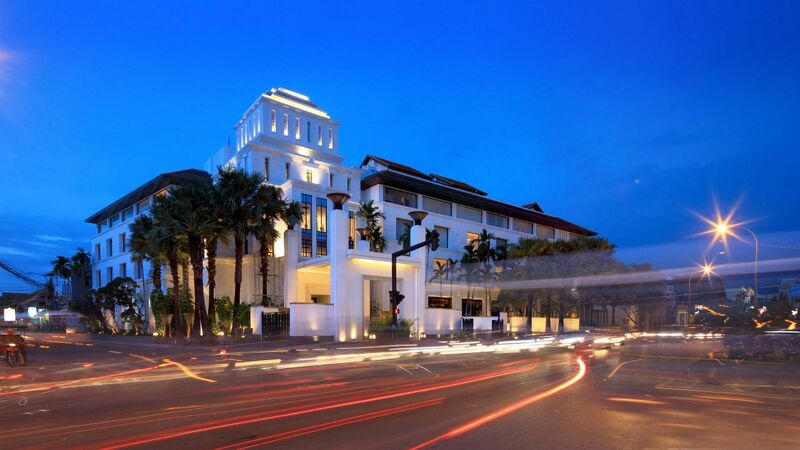 A sanctuary of peace, tranquility, and calm in the heart of the city to relish the moment. 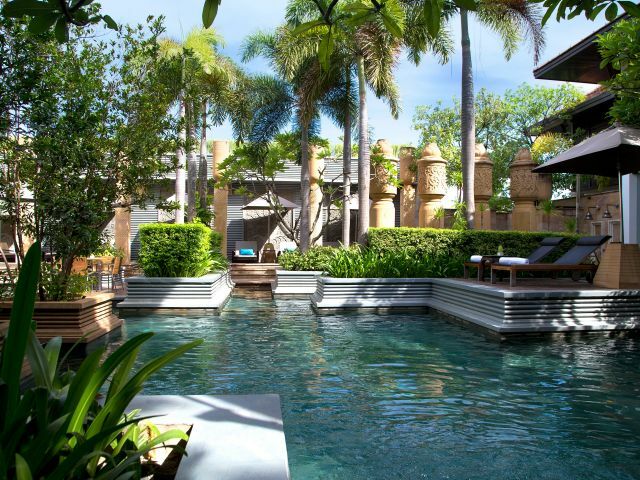 A lap pool located on the ground floor with shade under parasols and cabanas — ideal for health enthusiasts. 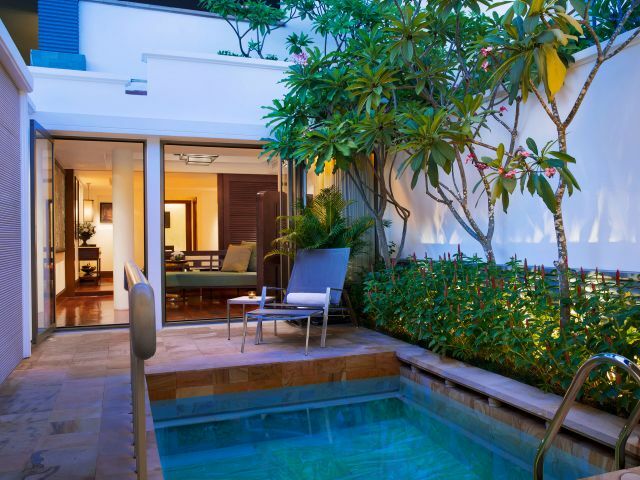 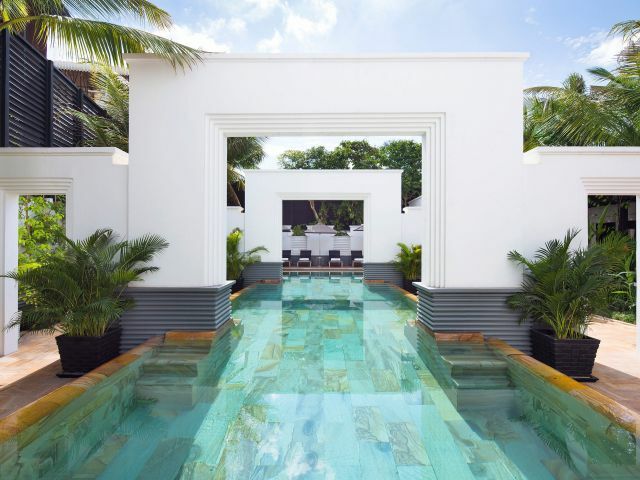 The free-form pool on the first floor features a Southeast Asian lagoon design, green tiled and surrounded by lush gardens — the ideal place to relax. 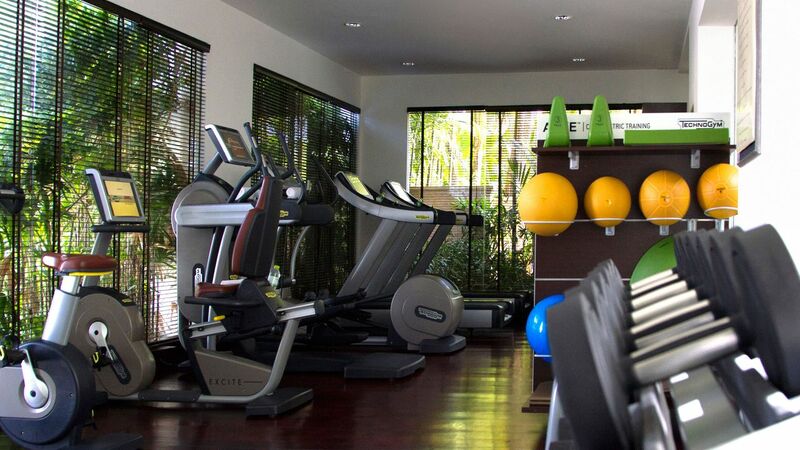 An intimate fitness center fully equipped with the latest cardiovascular and strength equipment. 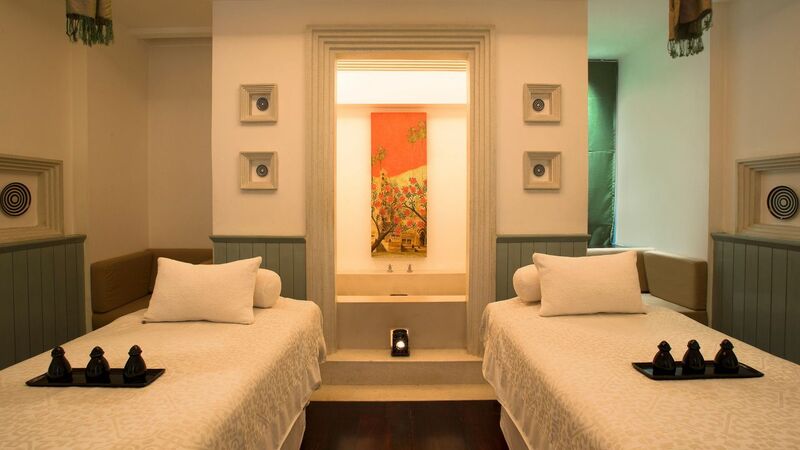 In-house guests will have 24-hour access. 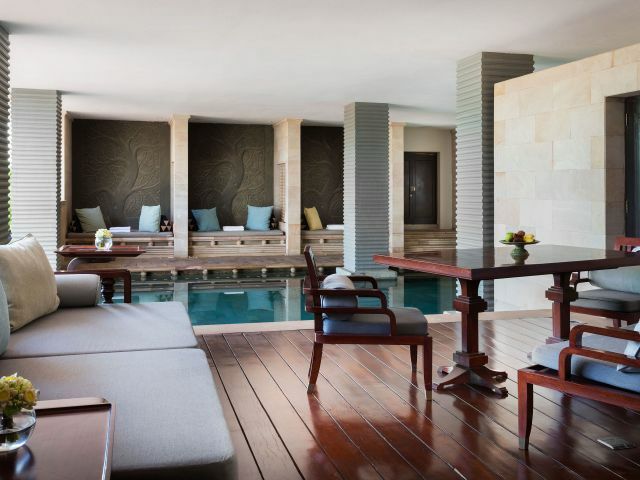 Experience an unforgettable journey that will enliven your senses and awaken your spirit. 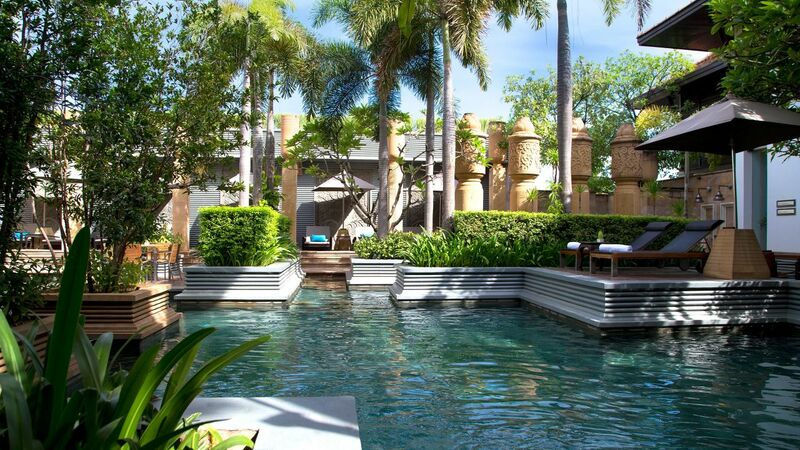 Surrender yourself to the astonishingly exotic and graceful touch of Cambodia-inspired hand and foot cleansing rituals. 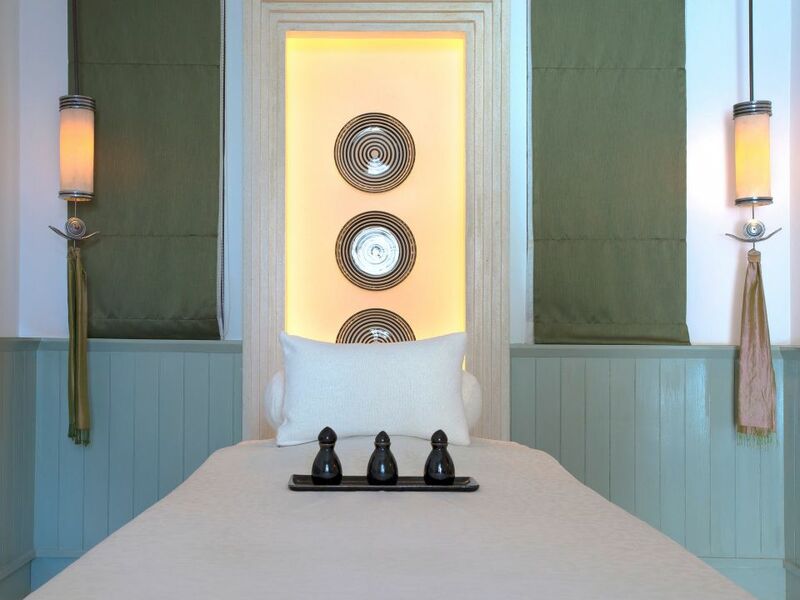 Surrender yourself to our haven of tranquility, purity, energy and balance, an urban sanctuary providing refuge from the hurried storm of modern life. 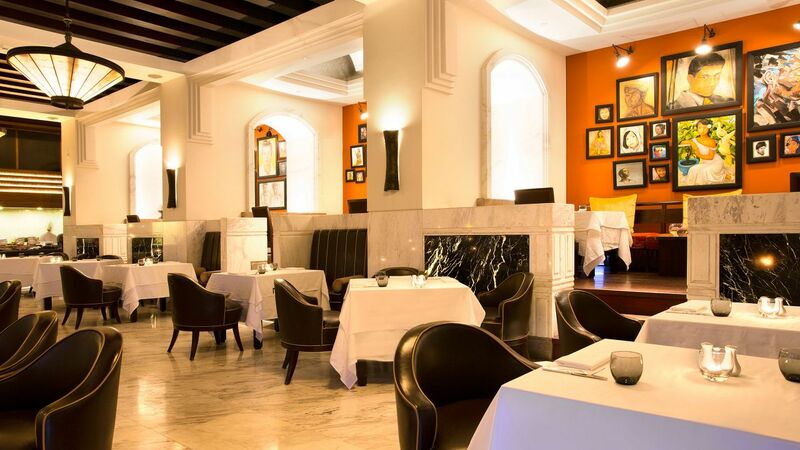 Offering a selection of French au Provençal and Cambodian dishes made from traditional recipes supporting sustainable seafood, organic farming and high quality local producers. 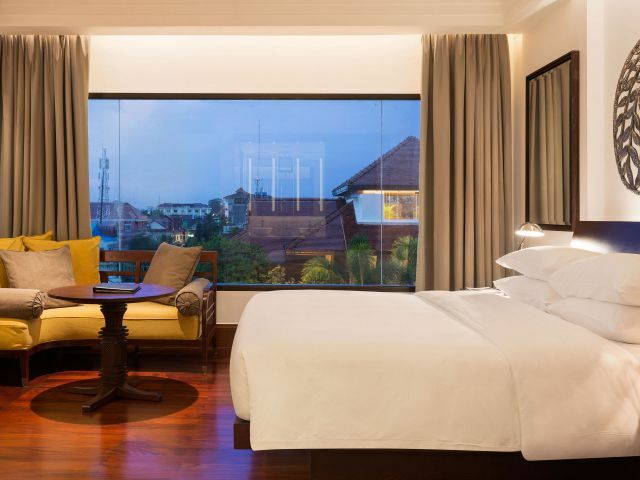 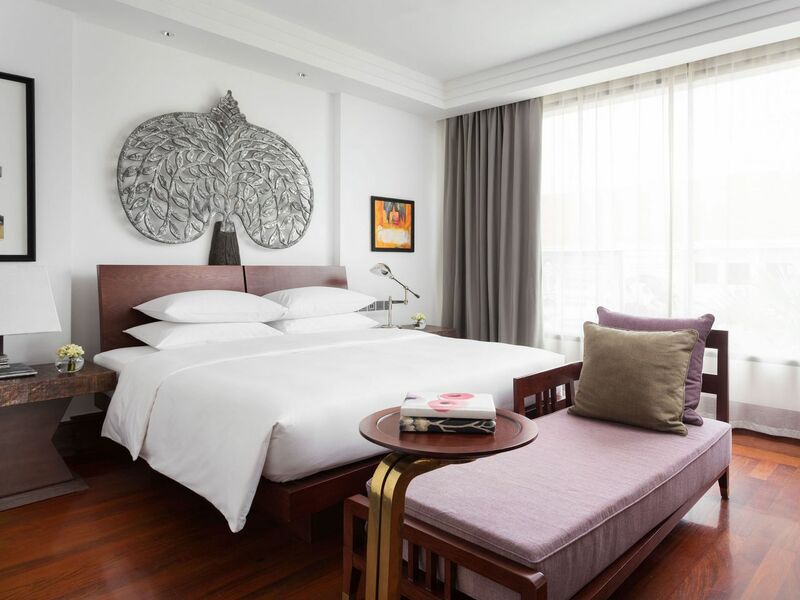 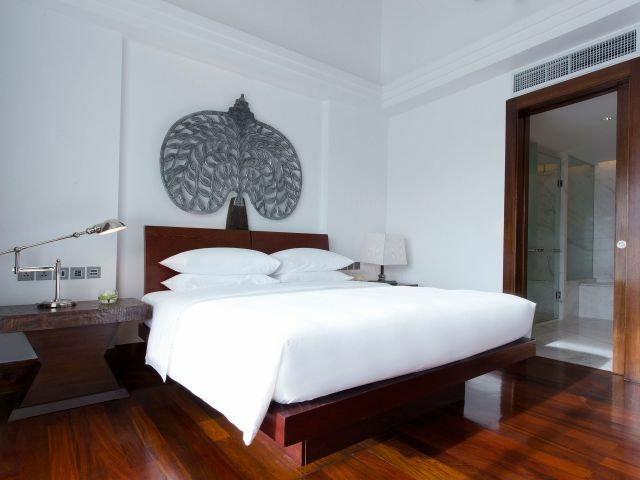 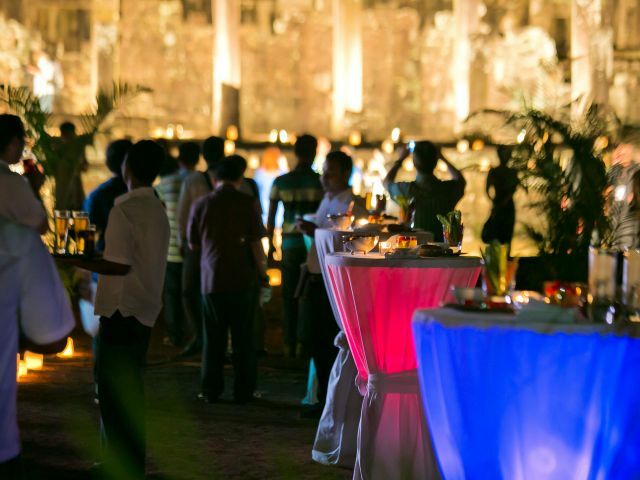 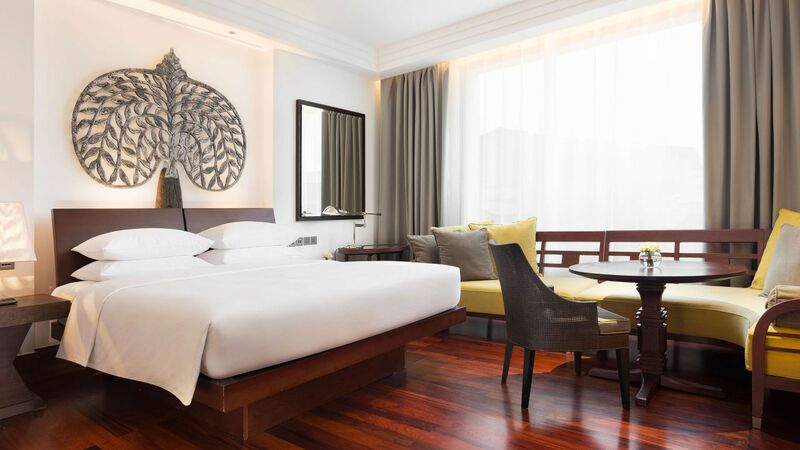 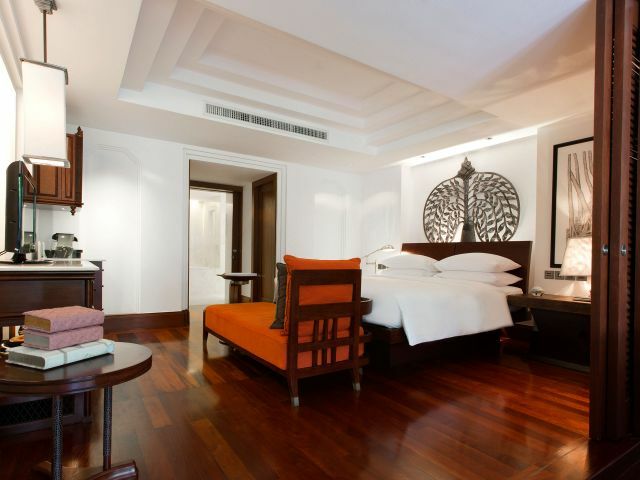 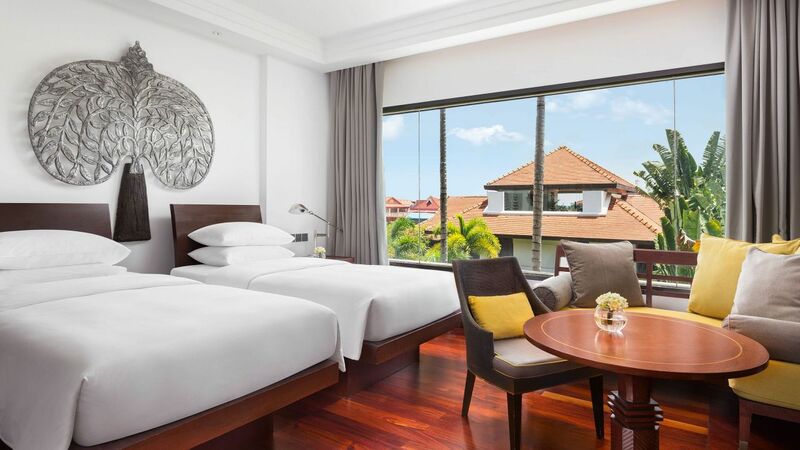 What else is happening at Park Hyatt Siem Reap?